Finnian watched the pigeon fly around the room frantically, completely ignoring the hole in the roof that would lead to freedom. He waved a crutch at the bird until it changed direction and then switched to the other crutch, but nothing seemed to be able to convince the bird to look upwards. It keep up its circling, panicked zigzag across the room and Finnian began to wonder if it would be better off without him. He was about to leave them room when he saw movement in far corner of the old hotel room, an alcove that would have once been the bathroom. A pale hand reached out and grabbed the bird from the air as it passed, pulling it into the darkness. His heart pounded heavily as he jumped backwards, almost losing his balance but hitting the wall in time to keep himself upright. There was a shuffling, banging noise and from the room limped the boy with the crutches, the pigeon firmly in his hands and his arms expertly manoeuvring the crutches even without his hands. Finnian watched him closely trying to be sure if the boy was real or another dream. In the hospital it had seemed a dream, a type of vision, but here in the hotel and the even the grainy, dusty darkness, the boy felt very real. “Hello. What did you want with the bird? I have it.” The boy held out the bird towards Finnian. The boy look surprised and then amused. “Really? That’s all? Birds come in here all the time. They find their way out eventually.” He flicked the bird upwards towards the collapsed roof and it flapped its way up and out of the hole. A feather floated back down through the vein of sunlight to the floor. 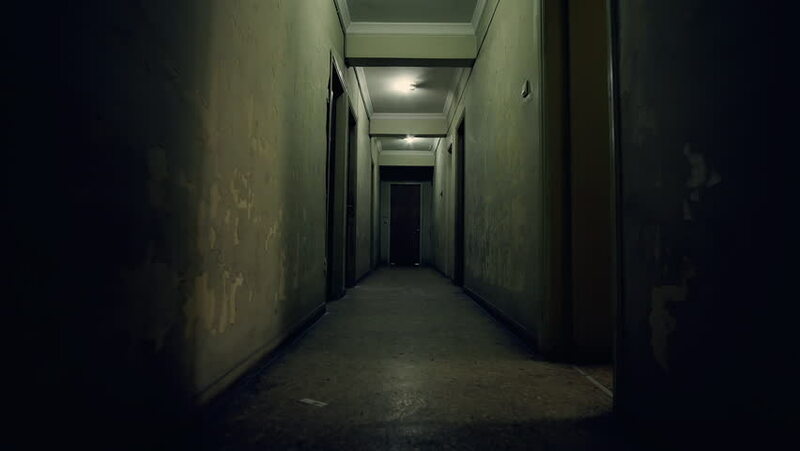 “Do you live here?” Finnian kept his eyes on the boy and limped a few paces into the old hotel room. The boy’s face was right near his. It was pale enough that he could see the thin outline of veins beneath the surface and dark enough around the eyes that he felt a shiver of concern. The boy didn’t seem like the ghostly spirit he thought he had seen in the basement. This boy felt very real. The boy’s eyes narrowed and moved even closer to Finnian. They were only a few centimetres apart and Finnian was surprised at how cold he felt. It was as though the boy emanated ice. “Darius? He’s back?” The boy’s voice seemed to snarl. “Yes. I guess. I didn’t know he lived here. I don’t know if he has ever been anywhere else though, so I don’t know if he is ‘back’”. Finnian slid himself along the wall with as much subtlety as was possibly with his leg in a cast. The door was close, he wouldn’t be able to run but he would feel better if he was out of the room. Finnian slid out into the hallway. The light was brighter and the air warmer and his eyes took a moment to adjust. The boy stood in the doorway of 402 and watched him. “Jack didn’t do this. I’m sure of it. We aren’t very close, I know that, but he would never like, throw a knife at me. I know he wouldn’t. It fell. Or…” Someone else threw it. Someone that looked a lot like you. Finnian trailed off, leaving the last part of his thought unspoken. Finnian said nothing. He heard a noise on the stairs and hoped desperately that it was someone from his family. “Your twin? Like an identical twin?” The image of the boy in the basement throwing a knife at him came back to Finnian. Was it the twin? “But, didn’t your parents do something about that?” It all seemed so far-fetched to Finnian. Maybe his brother accidentally pushed him into the elevator shaft. “Oh.” Finnian didn’t know what to say to that. “Was it that elevator shaft right there?” He pointed to the elevator in front of the stairs. “Like, some sort of magic?” Finnian was dubious. He had seen some weird things over the last three days, but he wasn’t completely ready to believe in magic and fractures in time. “He is from all time.” Vali’s face curled back into the angry frown he had whenever Darius’ name was mentioned. Before Finnian could ask any more questions there was a noise in the stairwell and his mother, father and brother appeared around the side of the elevator and onto the fourth floor. Finnian turned back to Vali, wondering why his family hadn’t mentioned the boy, but he was gone, either back into the room or down the hallway. “I heard a noise too, I thought I would come and check it out.” He watched their faces carefully, wondering how much he should tell them. Probably everything. “Oh, is this where the hole is?” His mother walked past him into the room and looked up. “Oh, thank god, that is far less awful that I thought. I had pictured half of the rooms up here buried in rubble. I feel like that was a huge exaggeration.” She smiled at his father. “Yeah, I guess so. They told us it wasn’t even safe to be up here, but it seemed structurally quite sound. At least on the floor – I’m not sure I’d be climbing on the rooftop though.” He walked around the room. Vali was nowhere to be seen. Jack’s eyes immediately met his, narrowed and sharp as though he wanted to say something. He stayed quiet. “Show us,” his mother gestured with her hand. “Down here, on the left at the end. One of the rooms.” Finnian didn’t give them too many details because somewhere in the back of his mind were the films and the books and the stories he had heard where you told everyone about the incredible thing you had seen and when you arrived, nothing at all was there. And you looked like an idiot. They walked along the hall and as they reached the end he was disappointed and unsurprised to find that Room 413 was no longer there. The last rooms on the hall were 406 and 412. He walked into 412 anyway, determined to at least avoid a conversation about imagining an entire room. The family filed in behind him, waiting for their eyes to adjust to the darkness. The room was almost completely empty and Finnian sighed and dropped his head. Yes. It was some sort of magic and he was going to be the one who had to deal with it. Everyone else would think he was crazy. His mother walked around the room. He breathed a sigh of confused relief. Was that luck? Was it more of the magic? His father rummaged around the corners of the room looking for anything else that would give them a clue about what was there, but when he found nothing he shrugged and walked out of the room. “What? Let me out?” Finnian pushed past his brother, suddenly desperate to be in the light again. “You didn’t mean some bum sleeping on an old mattress.” Jack paused and seemed to be trying to decide whether or not to say anything else. “What did you see?” Finnian also didn’t want to give anything away. They watched each other, each waiting for the other to speak. Their parents walked down the staircase, out of sight and earshot. Finnian shook his head. “No. I just saw it. I heard whistling.” He started the slow, limping walk towards the stairs. “Did you see anything else?” Jack asked tentatively, falling into step beside him. “I don’t know. Like… a boy. The one you know, that you saw in the basement.” Jack seemed hesitant to bring up the basement incident again. “I thought I saw something. But now I don’t know.” Finnian had a sudden feeling that he should keep some secrets until he understood them a little better. “And we don’t need to tell Mum and Dad, right? Or they won’t let us go anywhere.” Jack looked pointedly at Finnian. Jack nodded quickly and then walked off down the stairs leaving Finnian to take them slowly, one halting step at a time. There was so much to think about. It wasn’t just Vali who was here in the hotel, stuck in some sort of time warp. Nari was here too. Jack had seen him. And it sounded as though Nari was very dangerous. He paused on the stair and shook out his aching hands. Three more flights to go. - That is the end of Chapter 5 of Ghostboy. Thank you for all the ideas you sent me through your emails and messages. Some of them made it into this chapter and some have been set up to appear later in the story. Once again you are invited to submit ideas for what could happen next in the comments section or via a direct message to the author (lynnettelounsbury@gmail.com). SPECIAL NOTE: The hotel in this story is a real place - The Great Northern Hotel in Newcastle, NSW. Finnian and Tenzin explored this abandoned hotel one day while their dad was shooting a music video in the ballroom.One of the rooms on the fourth floor looked suspiciously like someone was living in it. And there were several pigeons. It recently been renovated so you can visit it again and see all the spaces mentioned in this story. Possibly even the basement. If you dare.